Having 200 or more of your closest friends, family, and relatives packed in one room or an outdoor space for a wedding reception is such an exciting experience. This is probably the best crowd you will manage to put up together and have control over. This is why you need to make them smile and laugh. 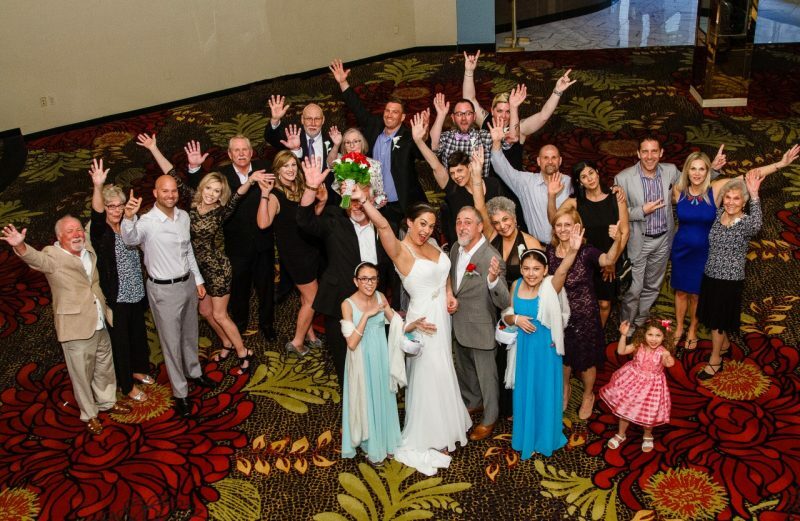 As you strive for that perfect Las Vegas wedding reception, you need to know that as the bride or couple, you should just let the professionals do their work. Here are some things you can do to make your reception hitch-free. Your master of ceremony is just that, the person who knows when to do what and why. He is the person who will let your guests know where to sit, when to stand up, dance, and sit down. This ensures a smooth flow of events. There are also the ones responsible for announcing toasts and speeches so all you need is to sit back, relax, and sip your champagne. Having plenty of food around ensures your guests have fun sampling the different varieties of foods available. You can start with the cocktail hour and immediately after that serve your guests so they stay full and happy. Your DJ and wedding band are professionals in what they do. Let them get your guests to the dance floor. To avoid the frustration of guests walking away, have a conversation with your DJ well in advance so that they can share with you how they manage such situations and what their play list arrangement is. At any wedding reception, there are two sequence of events that follow. The guests can be served food upfront before starting to dance or the food can be served intermittently giving room for dance sets in between. How you do this is totally up to you. In addition to the above, ensure the ambiance is right, the lighting well done and the venue sorted out at least a week to the event.